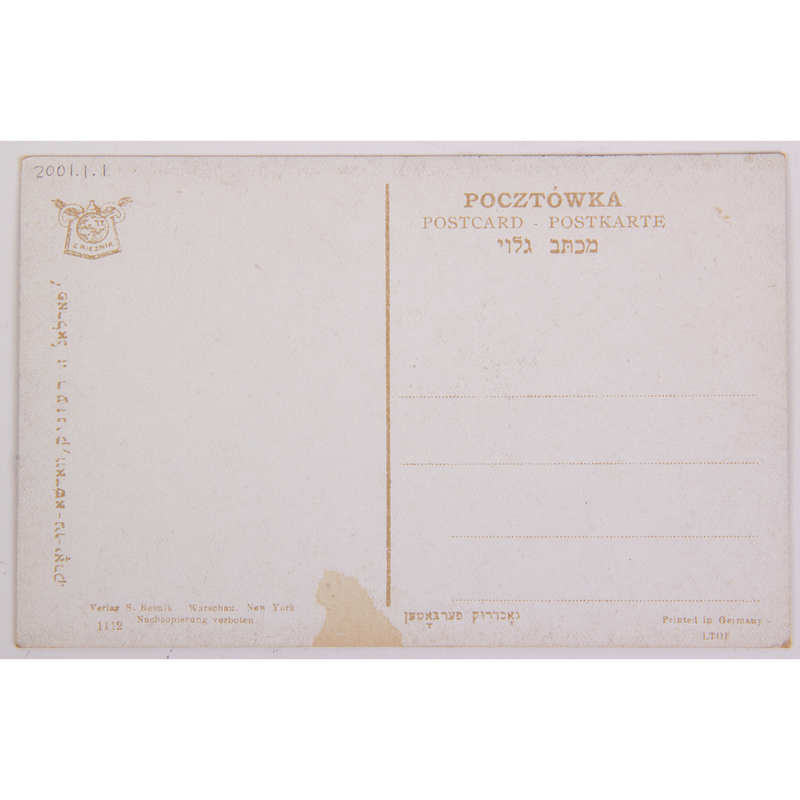 In the early 20th century, Warsaw was home to several publishers of Jewish postcards. 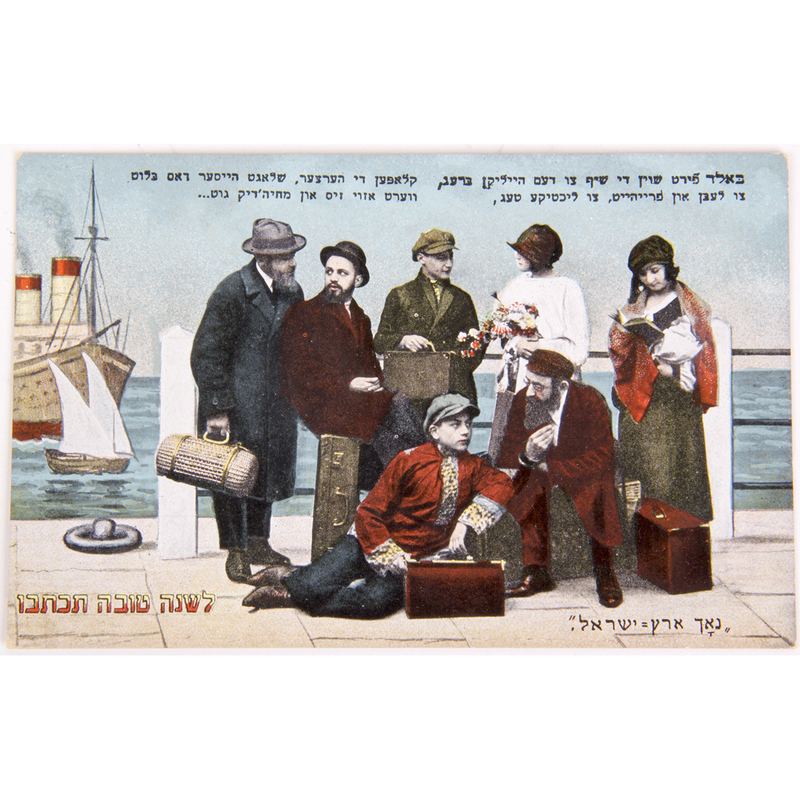 This postcard combines a posed studio photograph of immigrants on a dock with a painted background depicting a harbor and boats. Dimensions: 3 1/2 x 5 1/2 in.